Have you recently decided that you would like to have your bathroom remodeled? If so, have you already started making the changes? As much as some homeowners would like to have their bathrooms remodeled, not all do so. One of the reasons for that is the cost. 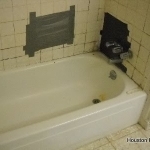 Unfortunately, bathroom remodeling can get quite expensive. However, even though it may appear as if you cannot afford to have your bathroom remodeled, you may still be able to. There are a number of different ways that you can go about paying for your bathroom remodeling. One of the most common ways that bathroom remodeling is paid for is by financing. If you are a homeowner, your home could also benefit from a little bit of remodeling. This benefit is an increase in value. Since many homes see an increase in value, after a bathroom remodeling project has been completed, many financial institutions feel comfortable giving out loans to qualifying homeowners. If you are looking to have your bathroom remodeled, but you do not have the cash to do so, you may want to approach one of your local banks for a loan. 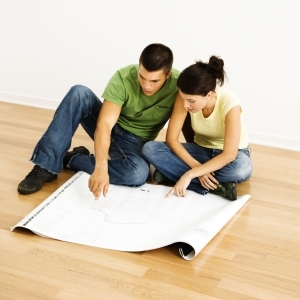 These loans are often referred to as home improvement loans. Depending on your credit, you should easily be able to afford a bathroom remodeling project with a loan. As previously mentioned, most financial institutions only had out loans to well qualifying individuals. A well qualified individual is typically someone is has a spotless credit history or at least a decent one. If you are looking to have your bathroom remodeled, but you are unable to obtain financing, you don’t necessarily have to give up your remodeling dreams. Another way that you could pay for your remodeling is by only taking it one step at a time. Although you may have hoped to remodel your whole bathroom, you may only want to focus on one part of it at a time. For instance, you could start with replacing your bathroom floor, and then get a new bathtub and maybe even a new sink after that. Talking small steps is one of the best ways to afford a bathroom remodeling project, especially if you are unable to obtain financing. Another way that you could afford to have your bathroom remodeled is if you place the repairs on your credit card. The only problem with doing is the high fees that you may be charged; however, credit cards are great alternatives to home improvement loans. In fact, if you are doing your own bathroom remodeling, instead of hiring the assistance of a professional, it may be easier for you charge your remodeling costs. This is because all you will really need to pay for is the supplies, materials, and tools needed. Depending on the fees associated with your credit card, as well as the overall cost of your bathroom remodeling project, you may also want to take your remodeling in small strides. Doing only one remodeling project at a time is a great way to lessen the amount of money you are forced to repay right away. As you can see, there are a number of different ways that you can go about affording to have your bathroom remodeled. Before making any decisions that will be set in stone, it may be a good idea to sit back and fully examine the advantages and disadvantages of your options. Doing so may help to prevent you from having to pay more money for your kitchen remodeling project than you need to.